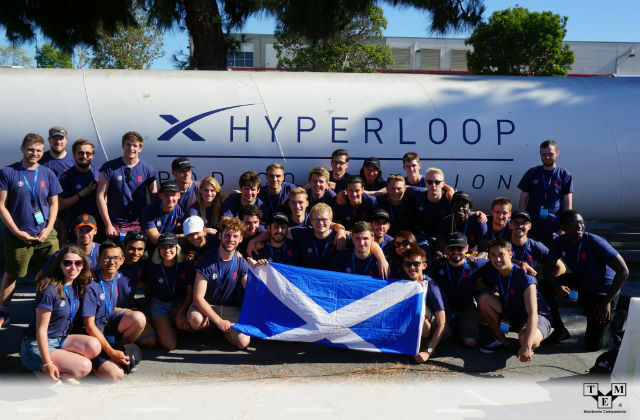 The University of Edinburgh Hyperloop Team led by Adam Anyszewski competed in a prestigious contest organised by SpaceX. 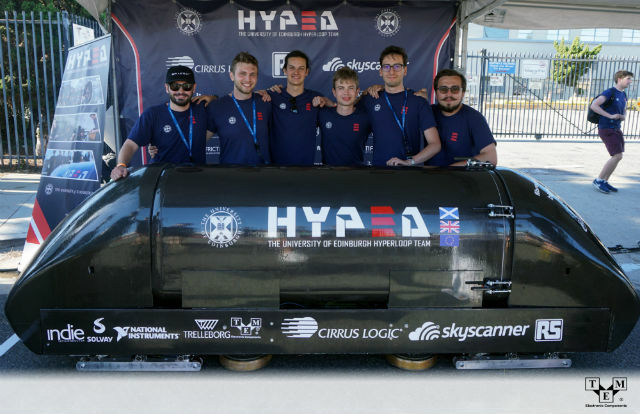 In the span of 11 months, nearly 150 people engaged in the project, which resulted in the creation of a Hyperloop pod and taking part in the final stage of the competition held in California. In October 2017, the team presented its project and qualified for the competition. 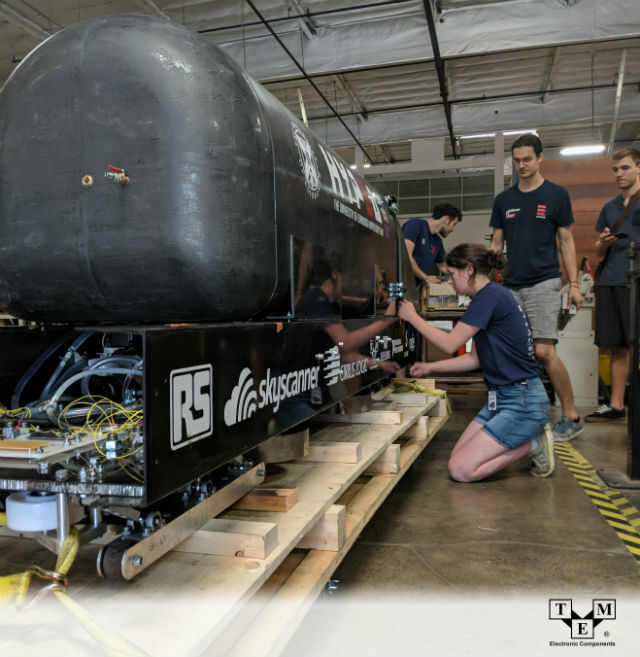 In December, after only two months, 250-page long detailed blueprint of the prototype received a positive opinion from the contest committee and qualified for the further stages. The construction works took several months. 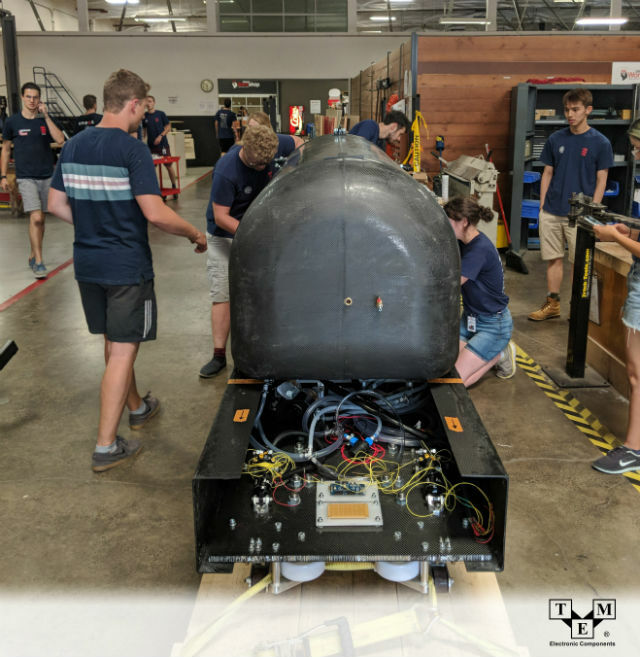 The most difficult to create, and yet the most impressive part was 4 magnetic wheels, which enabled the team to build a truly levitating pod. Each wheel was handcrafted, which required extra care and numerous tests. The team even prepared its own safety standards for works on this prototype component. The magnets used were super strong, and each wheel was protected with the use of hand-wound Zylon braids. Zylon is currently the strongest material known to man. A representation of 35 people went to California. 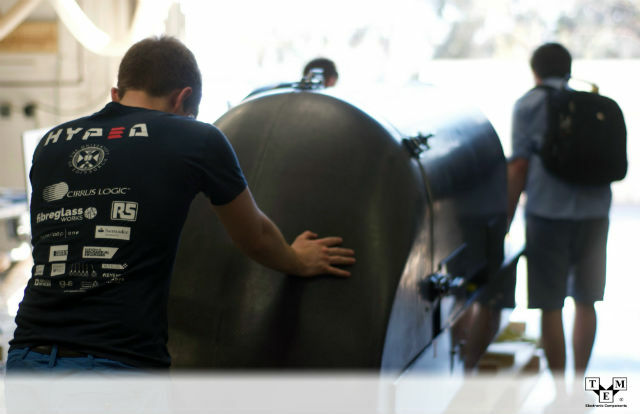 For two weeks, the carbon fibre pod was prepared for the final stage of the contest that lasted for a week. During that time, the prototype had to pass over 120 tests, after which it would be cleared to do the final run. Due to technical issues, the team did not make it to the final, and ultimately finished 6th. 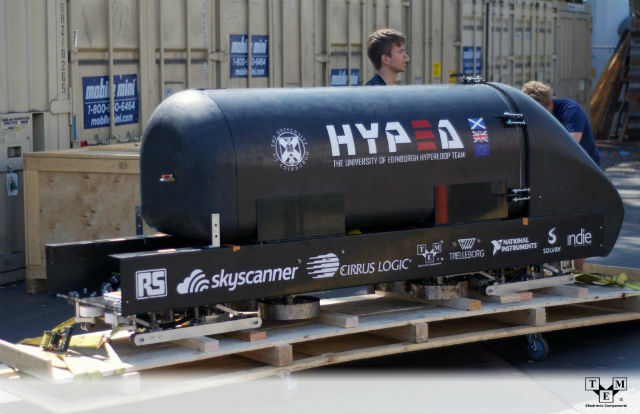 Despite that, the University of Edinburgh Hyperloop Team's project was appraised positively and took the highest place among non-technical universities. We would like to congratulate the team and wish them success in future endeavours.